Bradford Council’s Executive will consider the options for saving Queensbury tunnel when it meets next week. The historic 1.4-mile tunnel was built to connect Halifax with Keighley and was the Great Northern Railway’s longest when it opened in 1878. The tunnel was used by freight and passengers trains for almost 80 years until, in 1956, the tunnel was closed due to structural damage caused by ground water. 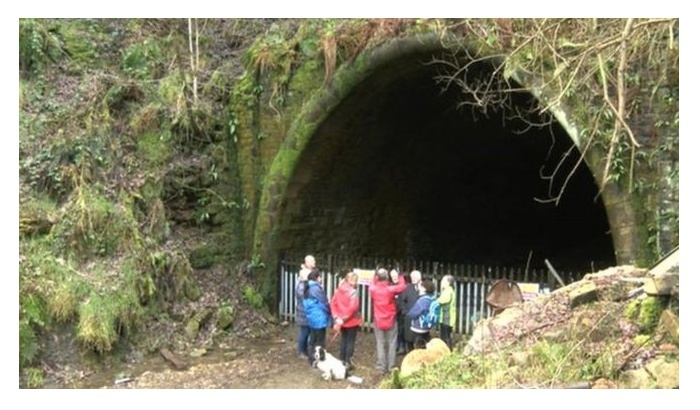 Since then, the tunnel’s future has been uncertain with proposals by Highways England’s Historical Railways Estate (HRE), which maintains the structure on behalf of the Department for Transport, to permanently close the tunnel by sealing both entrances and backfilling its ventilation shafts. Recently, an independent assessment of the likely investment required to make the tunnel safe has been undertaken by engineering consultants, AECOM, who estimate it would cost £6.9m. Once additional costs of converting the tunnel into a leisure cycle facility with connecting routes to Bradford and Halifax, the total cost would be in the region of £23m.